The avant garde is dead, or so the story goes for many leftists and capitalists alike. But in an era of neoliberal austerity, neocolonial militarism and ecological crisis, this postmodern view seems increasingly outmoded. Rejecting 'end of ideology' post-politics, Vanguardia delves into the changing praxis of socially engaged art and theory in the age of the Capitalocene. Covering the major events of the last decade, from anti-globalisation protests, Occupy Wall Street, the Maple Spring, Strike Debt and the Anthropocene, to the Black Lives Matter and MeToo campaigns, Vanguardia puts forward a radical leftist commitment to the revolutionary consciousness of avant-garde art and politics. 'A much-needed critique of the wrong turns taken by contemporary left thought, offered by one of our savviest cultural critics. Anyone who needs a reminder as to the myriad ways in which we can still today engage in progressive cultural and political expression should read Vanguardia.' Imre Szeman, Canada Research Chair in Cultural Studies, University of Alberta 'At the start of the twenty-first century, geopolitics took a turn for the worse. Fuelled by the market and controlled by an elite class, loosely aligned with the neoconservative forces enacting disaster in the world, the mainstream cultural field remained silent. Dissenting voices were selectively suppressed. 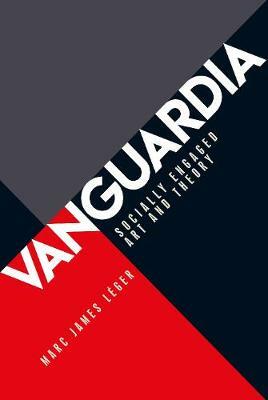 In this fascinating collection of texts, Marc James Leger documents the ways in which those energies found alternative modes of enacting culture and politics. Angrily opposing the technocratic capture of our cultural and educational institutions, Vanguardia rejects simple solutions to instead interrogate the rife contradictions of politico-cultural praxis and reclaim a systematically stifled vanguardism.' Rebecca Gordon-Nesbitt, author of To Defend the Revolution Is to Defend Culture -- .